It’s Friday. Tomorrow is Saturday, one of the two days every week when I feel safe from being evicted by the sheriff. I feel sure the sheriff doesn’t evict on the weekend. I wish I could feel confidence in the judicial system. 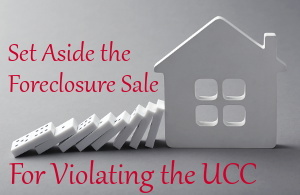 It is painful, in the true sense of literal pain, and difficulty breathing, when I see the New Mexico courts foreclosing my home, and likely others, in violation of the UCC, New Mexico Statutes 55-3-301 and 55-3-309. Seeing the injustice makes me sick, not only is breathing more difficult, as if something heavy is on my chest, but my body aches as if I have the flu, though in fact I do not. Injustice is extremely distressing, both mentally and physically. I do not understand why the NM Supreme Court has not filed my Motion for Rehearing: Foreclosure Violated The UCC, New Mexico Statutes 55-3-301 and 55-3-309, Submitted Under Americans With Disabilities Act, Title II. Because the NM Supreme Court has not filed my motion, nor sent it back to me, I remain extremely worried every week about being put out on the street in eviction from my home which was sold at auction on September 19, 2018. 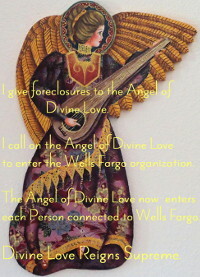 I am continuing to fight the foreclosure and sale because the Note was last seen in 2002, three years before my mortgage was assigned to Wells Fargo, and 6 years before Wells Fargo filed its Complaint for Foreclosure. Below is my Motion to Set Aside Foreclosure Sale. COMES NOW Karen M. Kline, self represented defendant, and moves this court to set aside the foreclosure sale because it violates the UCC, New Mexico Statutes 55-3-301 and 55-3-309 in that the promissory note was last seen in 2002 at which time the mortgage had not yet been assigned to Wells Fargo. 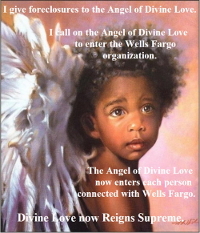 In fact, the mortgage was not assigned to Wells Fargo until 2005. 55-3-301 . Person entitled to enforce instrument. “Person entitled to enforce” an instrument means (i) the holder of the instrument, (ii) a nonholder in possession of the instrument who has the rights of a holder, or (iii) a person not in possession of the instrument who is entitled to enforce the instrument pursuant to Section 55-3-309 or 55-3-418(d) NMSA 1978. A person may be a person entitled to enforce the instrument even though the person is not the owner of the instrument or is in wrongful possession of the instrument. History: 1978 Comp., § 55-3-301 , enacted by Laws 1992, ch. 114, § 114. (b) A person seeking enforcement of an instrument under Subsection (a) must prove the terms of the instrument and the person’s right to enforce the instrument. If that proof is made, Section 55-3-308 NMSA 1978 applies to the case as if the person seeking enforcement had produced the instrument. The court may not enter judgment in favor of the person seeking enforcement unless it finds that the person required to pay the instrument is adequately protected against loss that might occur by reason of a claim by another person to enforce the instrument. Adequate protection may be provided by any reasonable means. History: 1978 Comp., § 55-3-309, enacted by Laws 1992, ch. 114, § 122. The In Rem Judgment has no factual reference to the original of the Note being seen after 2002. 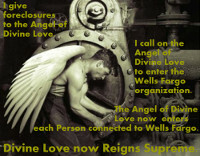 The In Rem Judgment states in paragraph 43, “On July 1, 2005, an assignment was executed by “GE Mortgage Services LLC, f/k/a GE Capital Mortgage Services Inc.” in favor of Wells Fargo Bank, N.A.” The assignment mentions the mortgage, “note and all other liens”, without evidence that the original of the note existed at the time. 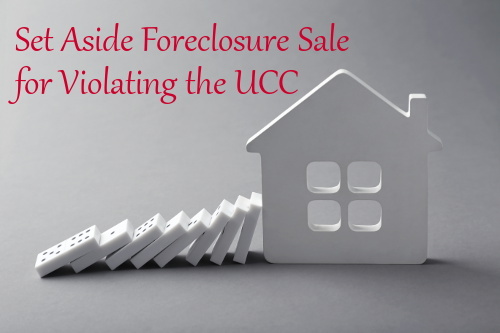 WHEREFORE, the foreclosure is in violation of New Mexico Statutes 55-3-301, and 55-3-309 with the result that the foreclosure sale should be set aside and the foreclosure dismissed. 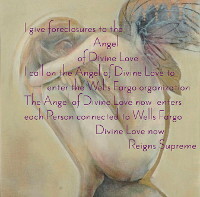 I am fighting the foreclosure sale because the Note was last seen in 2002, three years before my mortgage was assigned to Wells Fargo..